The Hunger Games is a complicated book series for me to review. I have to look at the trilogy for the forest and not for the trees. Upon closer inspection the book has a lot of imperfections, but when you take it as an overall narrative tale it is probably one of the most unique young adult series in a long time. This book is often mentioned along Twilight, so I was expecting a Twilight like love triangle and plot, but that is a pretty much non-existent part of the series. The book focuses more on the destructiveness of humanity towards itself while follwing the lives of some pretty unlucky teenagers. Collins unapologetically makes many comparisons to present day situations and ideas. Our heroine, Katniss Everdeen and most of the characters are far from perfect and this quality continues as the series goes on. Nothing is idealized in this version of a distant future dystopian North America where children are forced to kill each other in a twisted reality show called the Hunger Games. 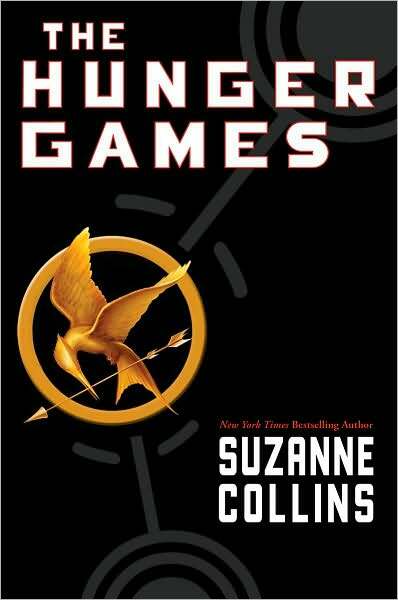 Collins describes the games perfectly in the second book, Catching Fire when she says the tributes are looking to "slip the noose of poverty that strangles the rest of us." There isn't much pretty and shiny going on this series. Everyone is flawed and I think that is what turns people off the book sometimes We have a selfish government, impoverished districts, an overly self sacrificial yet, weak protagonist,her alcoholic mentor, depressed mother, jaded best friend and more all thrown into a crapsack world. Even the character who you can believe is uncorruptable is corrupted. When you want Katniss to be the hero she isn't-- and not because she can't, but because she wont. This is a hard book for sensitive people like myself to read. Yet,it reeks of a lot of truths. No one is saved and no one is exempt. The Hunger Games as a series is great, it really threw me back into reading and kept me up for nights trying to make sense of it. I think Jennifer Lawrence is great, but I’m not super excited for the movie.Oh, wow just saw the trailers, can not wait for this movie, where is the popcorn ? I think the concept is good for a film, but I'm afraid it will be hard to get the real heart of the novel through. I know a lot of people that love the Hunger Games. I didn't really hear learn about it until recently. I think it sounds interesting but I don't know if I want to take the time to read them yet.